Declan Donnelly has become a dad and says he is “head over heels” at his daughter’s arrival. The baby girl, his first child with wife Ali Astall, has been named Isla Elizabeth Anne. Her birth comes just a few weeks before Dec heads to Australia to film the new series of I’m a Celebrity. Instead of hosting with his regular partner Ant McPartlin, who is taking a break from TV presenting, he is teaming up with Holly Willoughby. Astall and Donnelly, who were married in Newcastle three years ago, said they were “thrilled to announce the arrival” of Isla on Saturday morning and that mother and daughter were doing well. The Britain’s Got Talent host shared a picture on Twitter of the baby’s hand wrapped around his finger. The pair used to work together as Astall – who comes from Newcastle, Australia – was Donnelly’s manager. McPartlin wrote on Twitter: “Welcome to the world baby Isla Elizabeth Anne. Can’t wait for cuddles. I love you already!!”. He signed the message “Uncle Ant”. Friends have also congratulated the couple, with This Morning host Philip Schofield saying it was “the BEST news”, and that he “couldn’t wait” to meet Isla while presenter Ruth Langsford told the new dad that “Isla will be wrapping you around her little finger from now on”. Donnelly has said this season of I’m a Celebrity would feel different without McPartlin, who stepped down from TV work in March to have treatment after admitting drinking and driving. He was banned from driving for 20 months after the incident in March and fined £86,000. But Donnelly promised it would be “no less fun and eventful” for viewers. 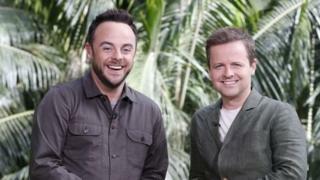 No date has been announced for the return of the ITV jungle-set reality show, but last year’s series launched at the end of November – funnily enough, with a joke about Willoughby replacing McPartlin. Ant and Dec have co-presented the show, which usually lasts for three weeks, since it began in 2002.